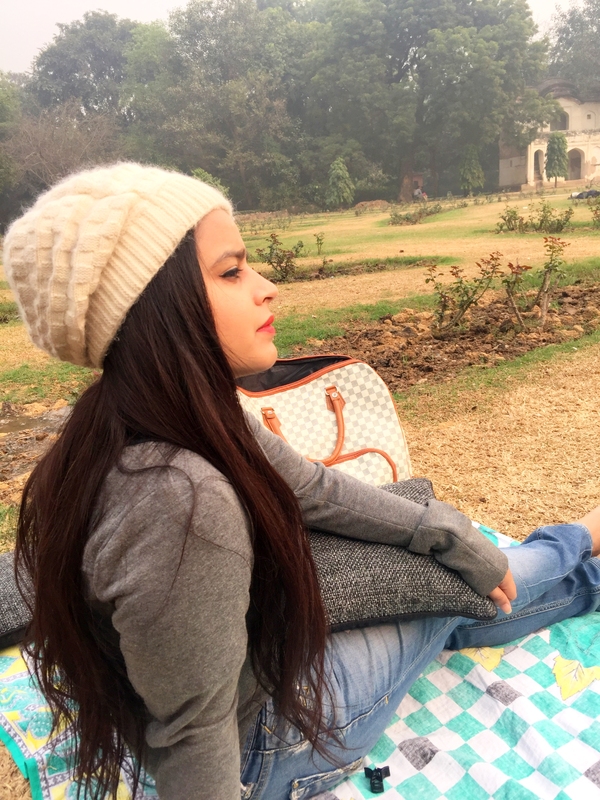 Winters are perfect to enjoy the sun, so I love visiting parks during this time of the year. 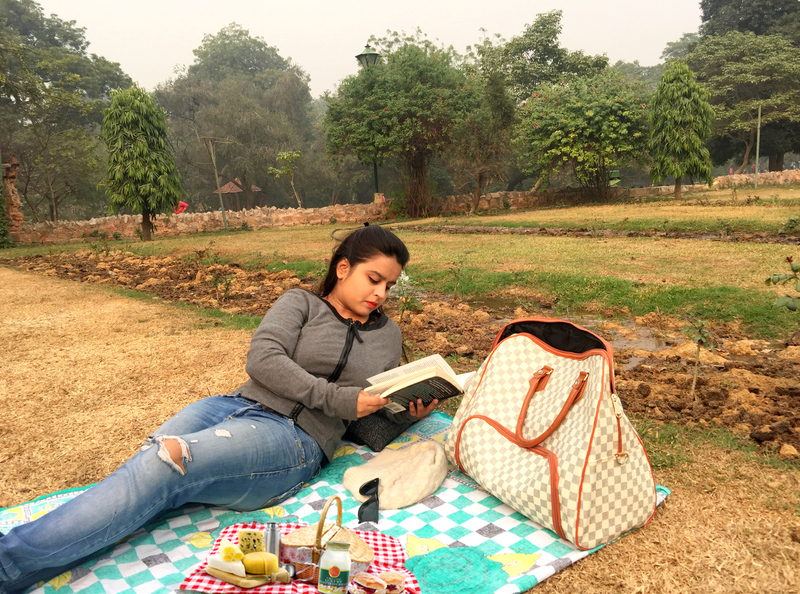 This time I planned my short trip to Lodi Garden, the old lady Willingdon park. 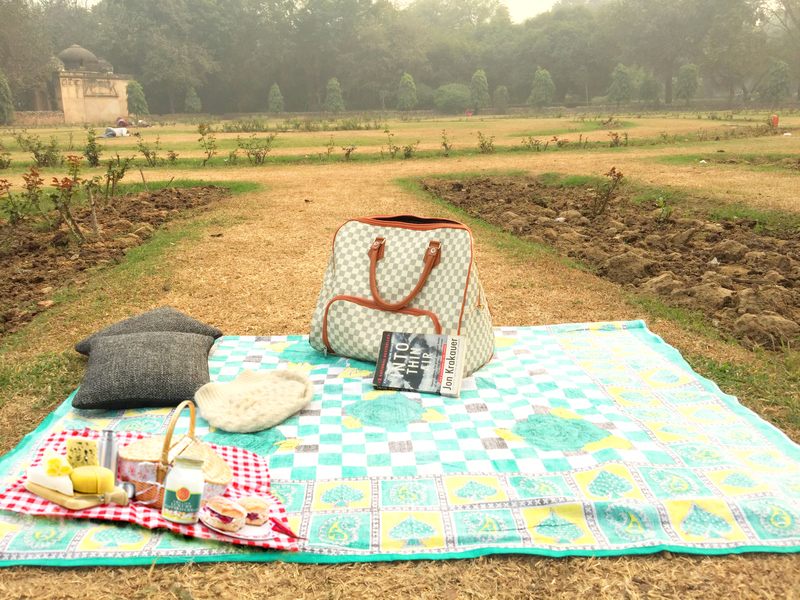 Lodi Garden is a favorite hotspot for jogging, picnic for the Delhiites. 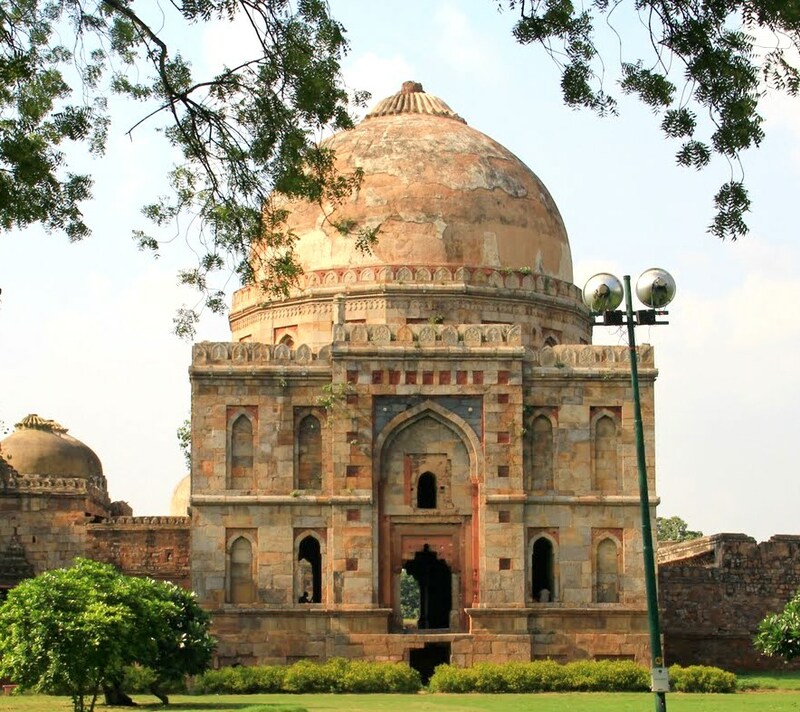 This garden also includes tombs of Muhammad Shah and Sikandar Lodi. In the middle of the park, there is a Bara Gumbad and a mosque too. I love the serenity and calmness over here. I planned my trip in advance, so I had all the goodies with me this time. 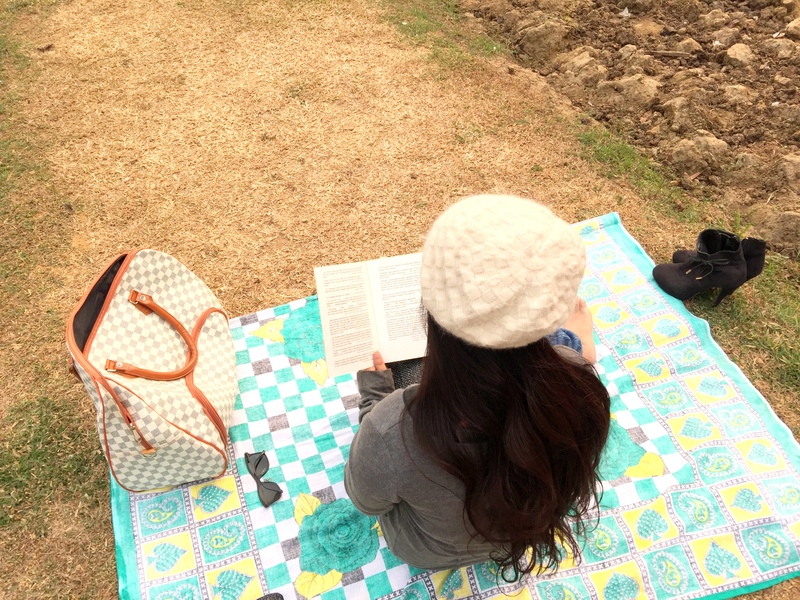 For a perfect picnic, what you need is a sheet, fruit bucket, outdoor game and a book. I chose a corner in this dotted garden so that I can have the full view and nobody comes distracting me. There’s so much to see here in this garden, but this time I wanted to only sit and have a relaxing time. I hope I’ll check out the rest of the place next time and share it with you. I loved being here & it was one of my favorite picnics. All the time spent here became a good memory. This peaceful park is my favorite escape from now. I hope you liked this post. Got questions, or have any tip for our readers, you can comment below. All nce pictures, what a lovely place, but who took the pictures? I would say your boyfriend. The photos are really pretty too! You’re so pretty! How old are you? Ha ha lol good answer! That’s one way to answer the question!!! You look so young and beautiful, I just had to ask! 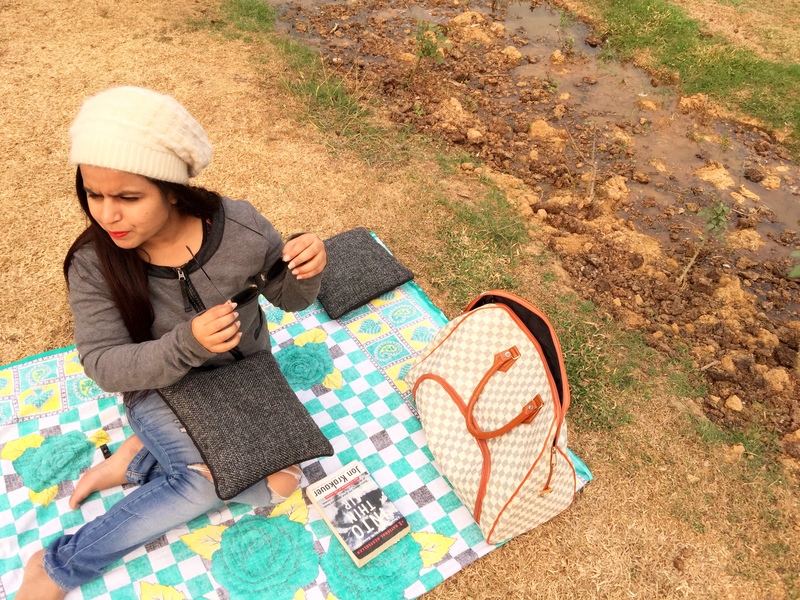 A picnic is a great idea to relax- anytime and outside! Beautiful photos! fill in your url, email and press from Web or File -then your photos will show up, and choose one. 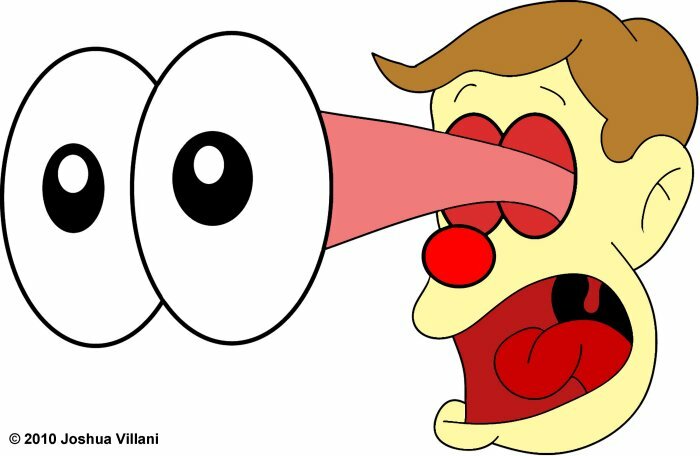 Hi, what type of photo should I share on the link, of me or the surrounding.? Also, I tried to click the click here link on your very first post but it say’s it’s not opened yet. What a gorgeous place to read…or do anything. Lovely photos! That is a cool place to relax. I would like to see more pictures of this place. Lovely place and your photos look great too. embarrassing moment of me rapping. Please click link and like the video. Tag friends to like too. I neeeeeeeeeeed this. Thank you. Serenity has nothing you, and solace does not mind you, coz you are way too cute and yes… thanks for the advice and recommendation; if ever i tread India i will take note where you went and gone and see what you saw. Thank you. I will be honored if I could make anyone visit here. You are more than welcome. Positively lovely!! Picnicking is one of my absolute favorite things to do. I loved the pictures. Thanks for sharing. A nice peaceful blogpost. Thank you for sharing and I look forward to reading your next post when you go back. I am glad you liked it. I hope to see you around. 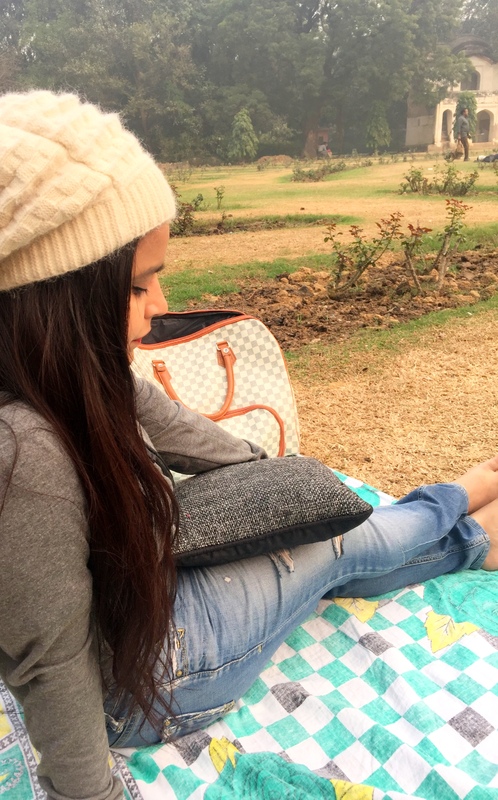 I love going on picnics and I especially love yours! How fun that must have been! Oh this is the perfect time to go on a picnic. I just love this weather. It must be nice considering it’s 15 degrees and freezing rain where I’m at right now lol! That’s super cool.. I love damn winter’s. . But it doesn’t get much cold here. Global warming, argh I hate it. Beautiful. Makes me want to visit it!!! That’s a nice calm spot, nice pictures and you add beauty to the place. I think I’ll make you visit India soon, Daniel. What a wonderful place! Maybe i’ll get to see it in person one day. Beautiful photos! 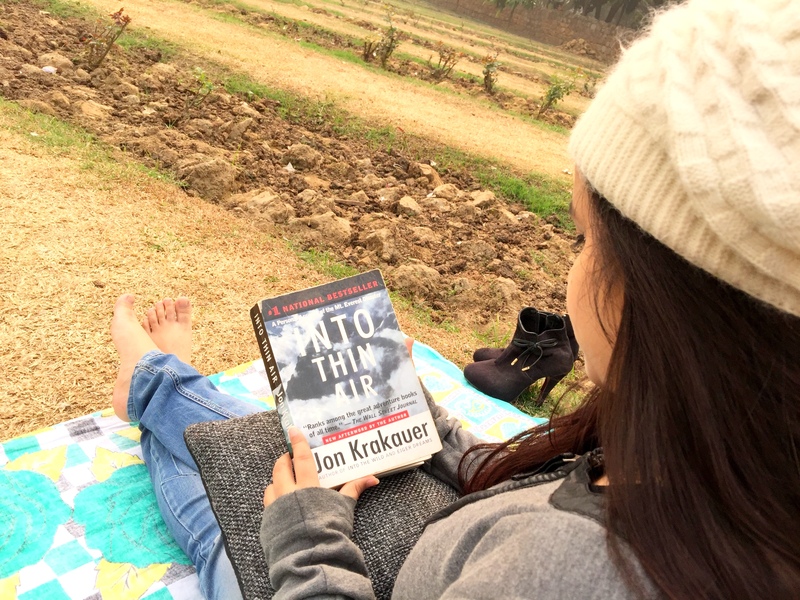 And i have read Krakauer’s Into Thin Air. Great book. Oh, this book really gave me chills..
It’s pretty frightening, i agree. i’ve made on other posts! Haha, that’s a way to remind you of me. . 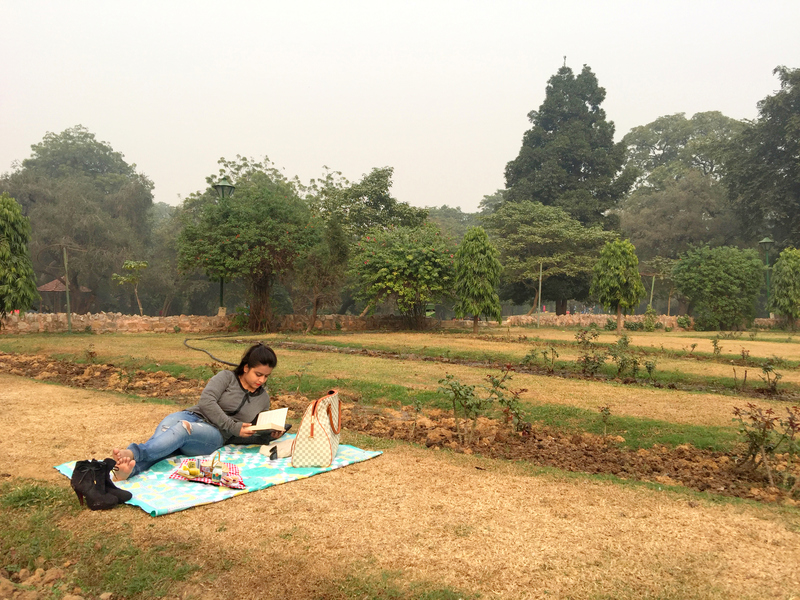 Nothing better than a picnic… and in a lovely place like that, heaven!!! This looks like a wonderful escape! Make your wishes come true.. So nice pics, enjoy dear and this weather is superb to do just that. 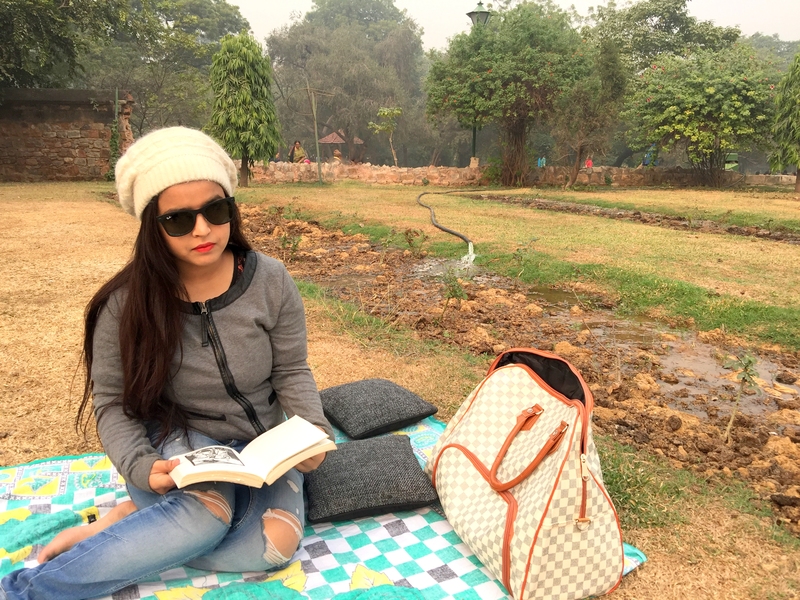 Ya at this time of the year it is very nice and peaceful to be visiting parks and to laze around. That hat is super cute too. Great post and have a nice time. Yes of course and you are looking so beautiful too. Have a nice day dear. Baby, You are SO DAMN BEAUTIFUL. I wonder whether this is a “picnic” or “Picnic Fashion Show”. More Beautiful, than this Garden is YOU. Haha, that means a lot.. Thank you for the compliment. It is nice to enjoy places without the crowds. It was a very huge garden, with enough crowd. But I chose my corner at the very end. Very nice and peaceful! That hat is super cute! Oh that’s cool.. But October is too far. Almost an year. I don’t know why but when I have a quiet chill place that I go to. To be at ease… I call it my thinking spot. Amazing pics by the way to miss. One day I hope to travel more. My next two trips abroad are to Italy and Bangkok…..
Gorgeous! Your hair…that bag! I mean obv the setting Omg I’m having an eyegasm. E.
nice ideas as I have to force myself to relax even if I have a day off. Haha, that’s a serious point. I will think about it. Yay, that must be fun.. 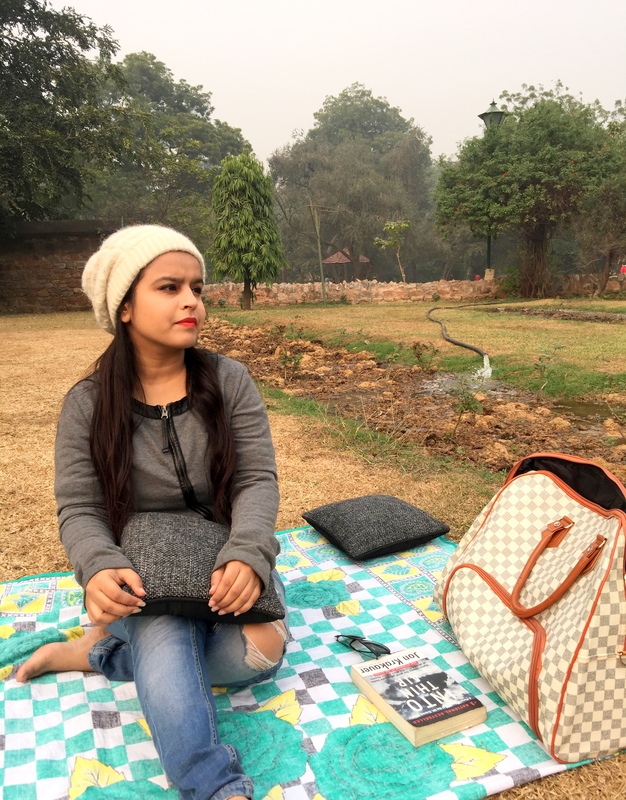 I loved this place so much that I visited there twice in a week, for the same kind of picnic..
Well then, I may just have to put India back on my list! 😉 Lovely post! Oh I will feel more than happy if I could invite or make anyone visit here..